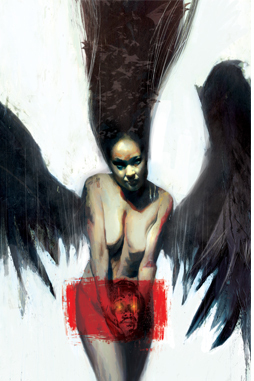 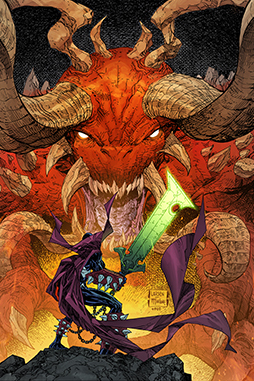 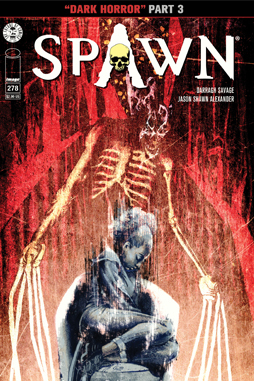 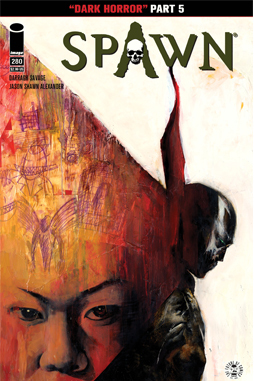 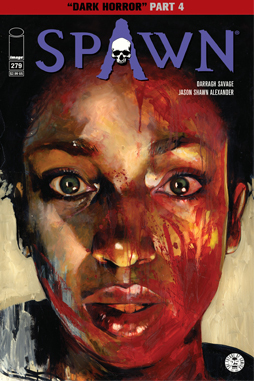 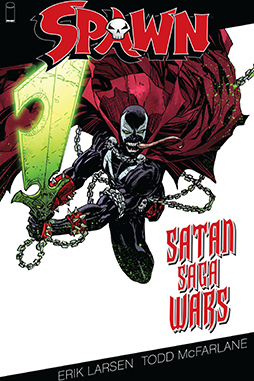 Wanda, being restrained by one of Satan’s minions, watches as the fight for her soul, begins with a mighty clash between Spawn and Satan. 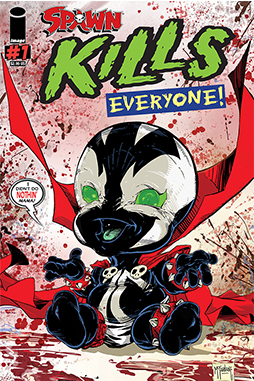 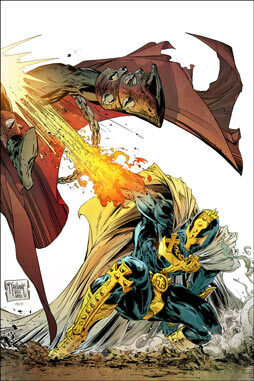 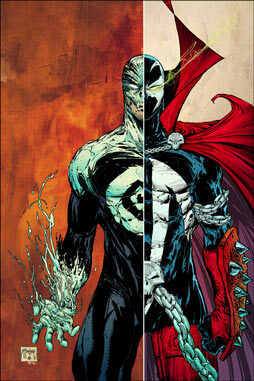 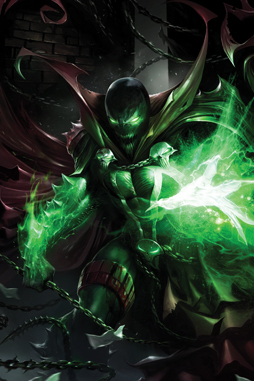 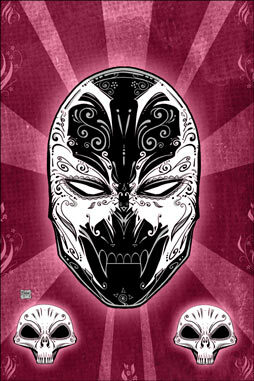 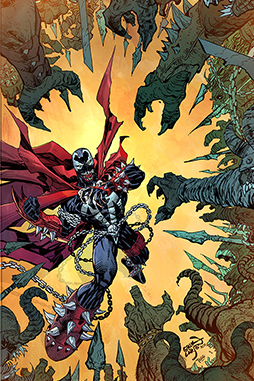 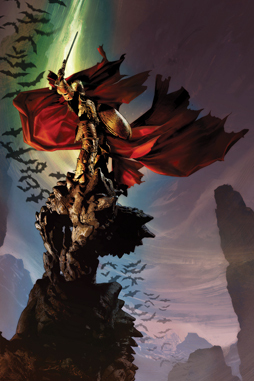 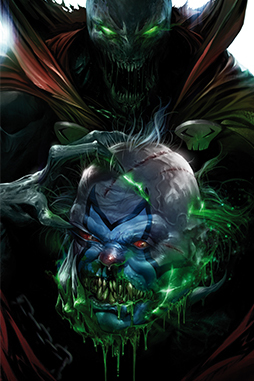 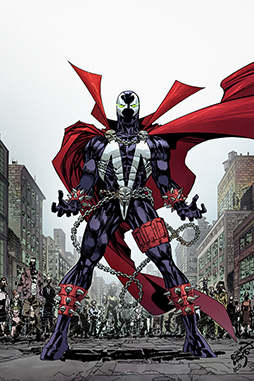 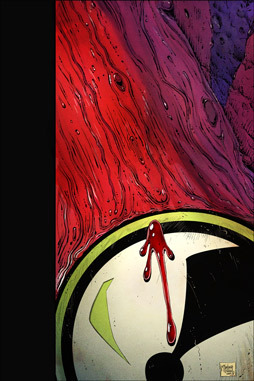 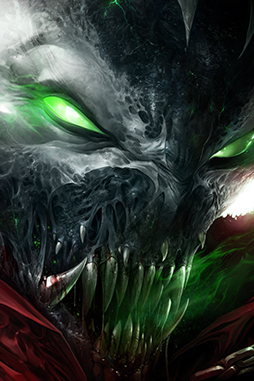 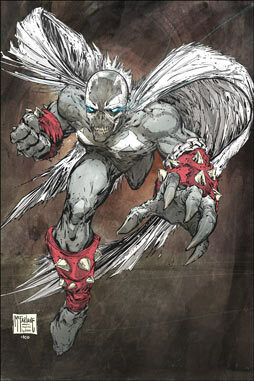 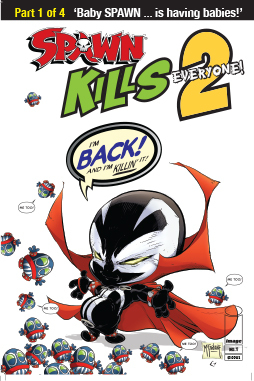 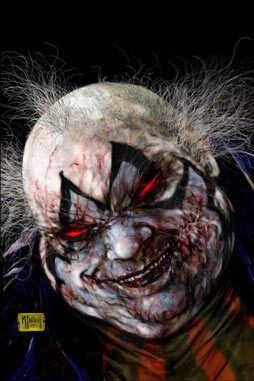 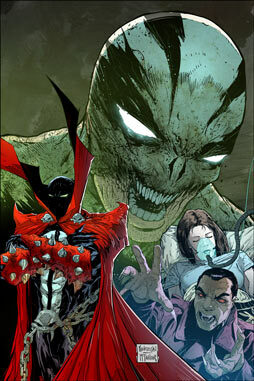 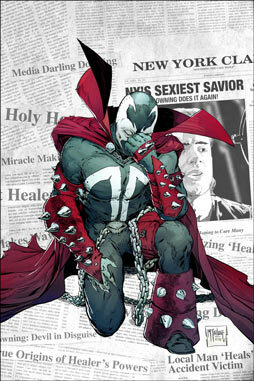 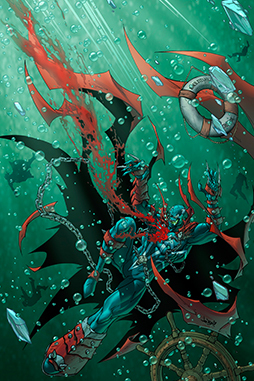 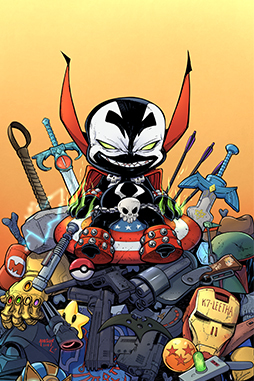 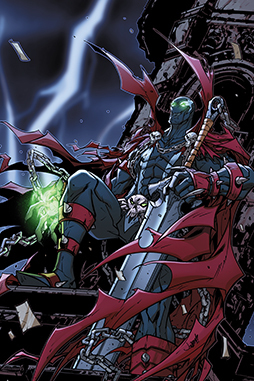 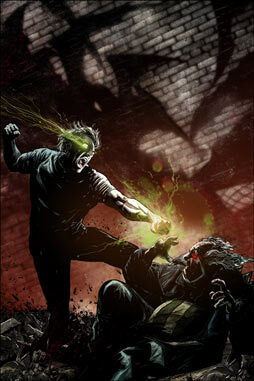 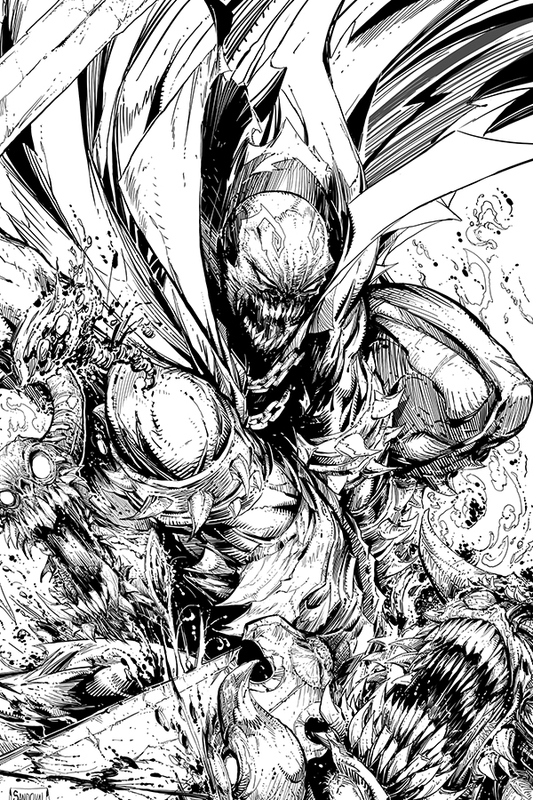 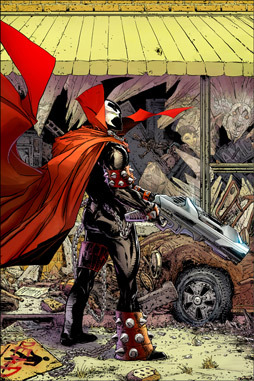 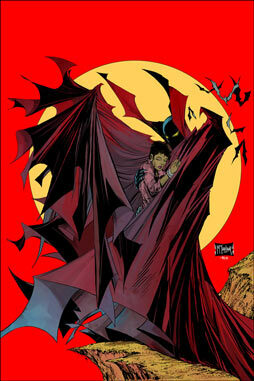 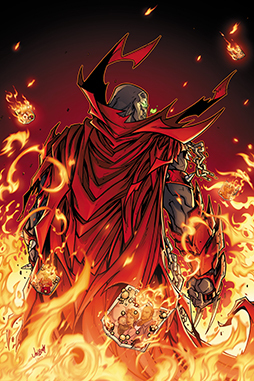 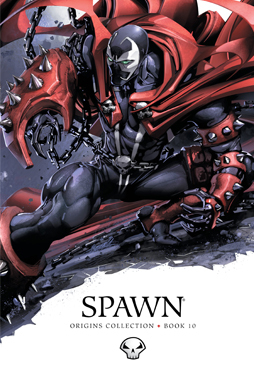 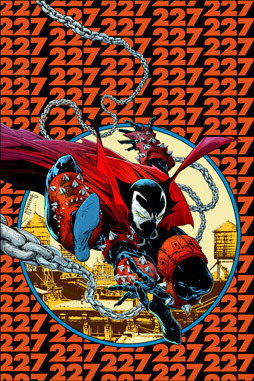 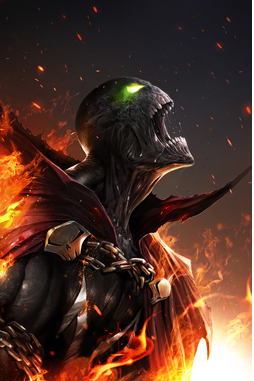 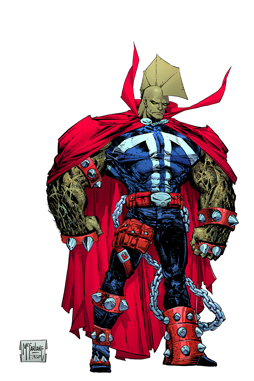 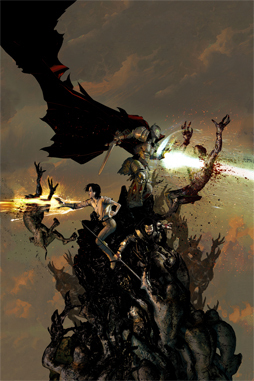 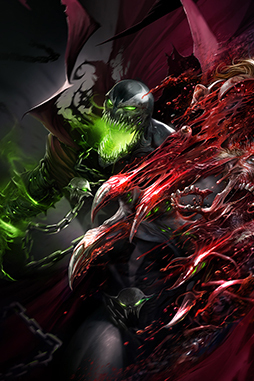 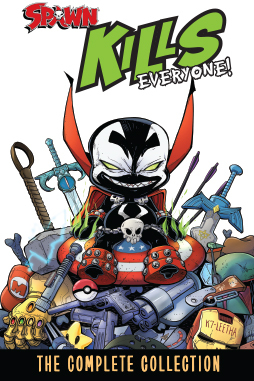 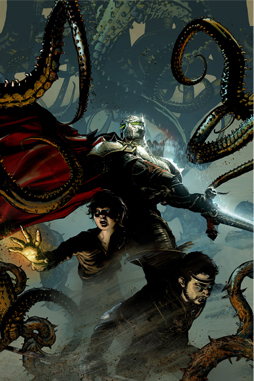 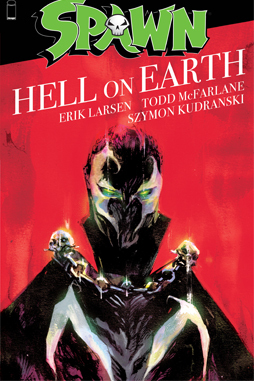 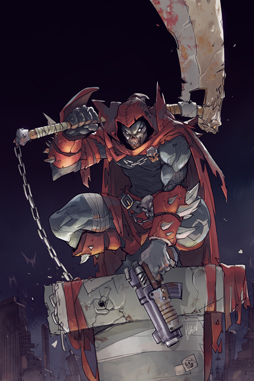 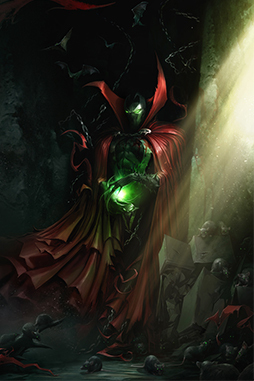 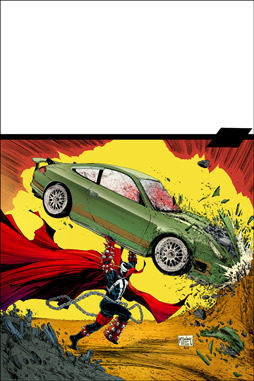 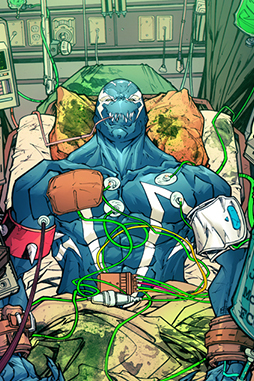 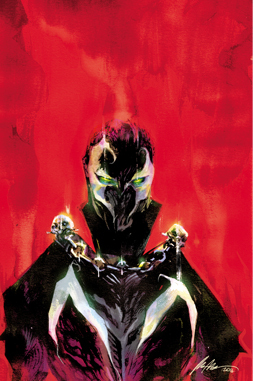 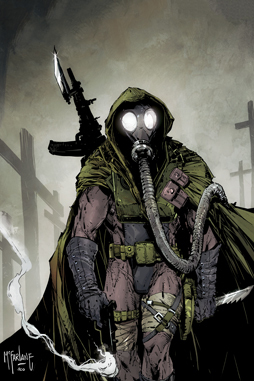 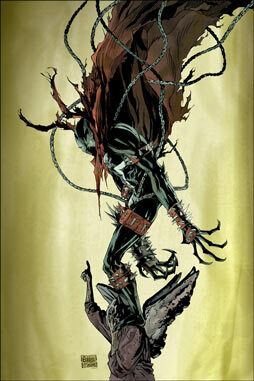 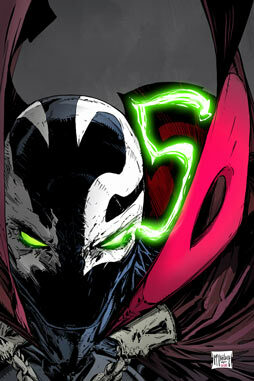 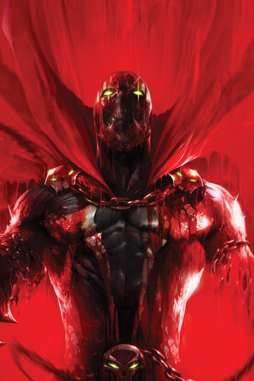 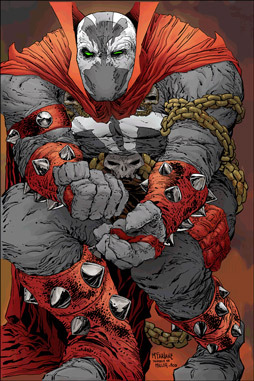 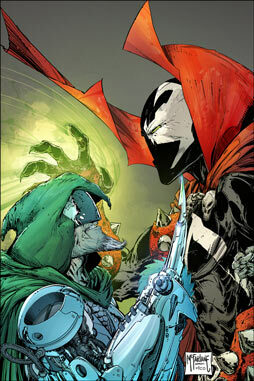 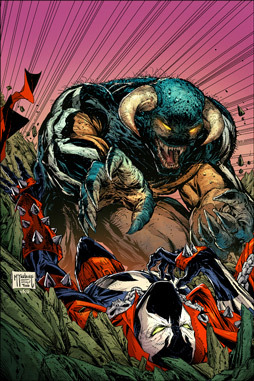 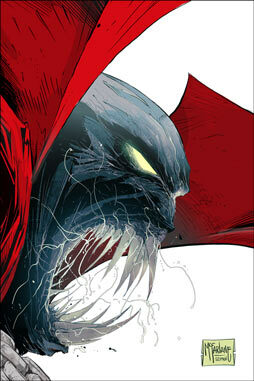 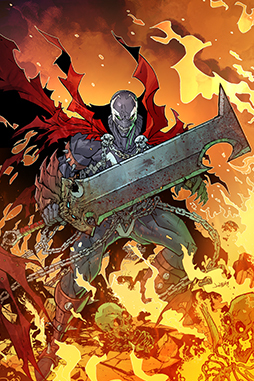 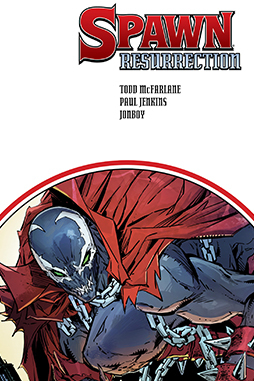 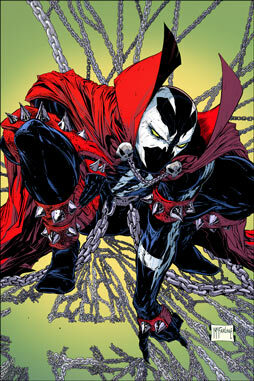 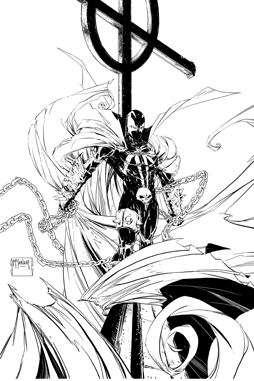 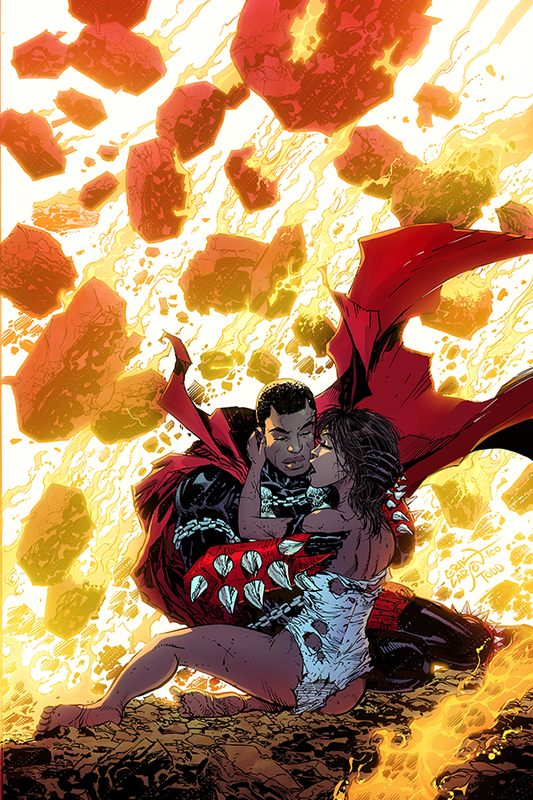 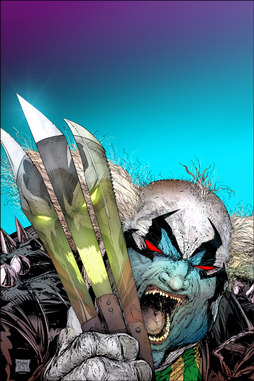 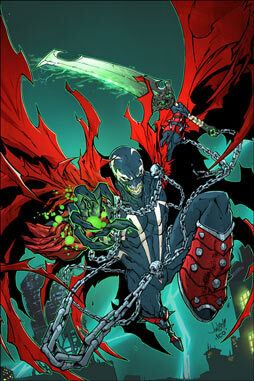 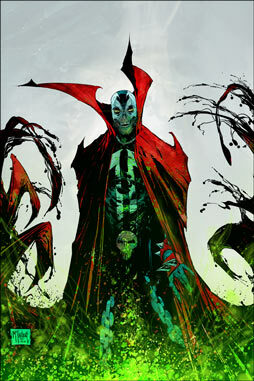 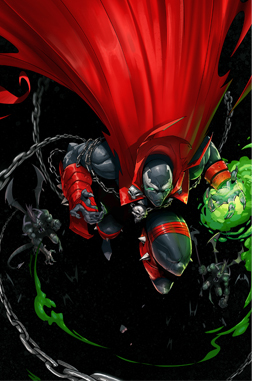 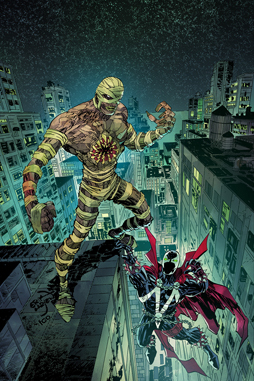 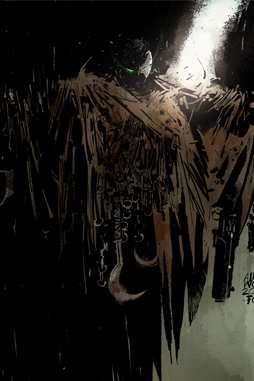 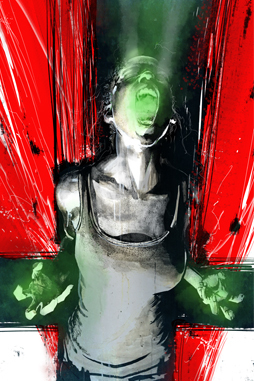 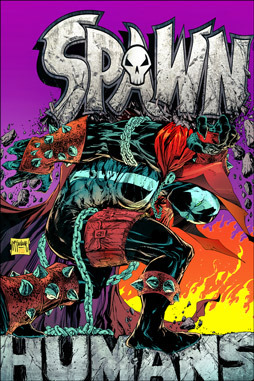 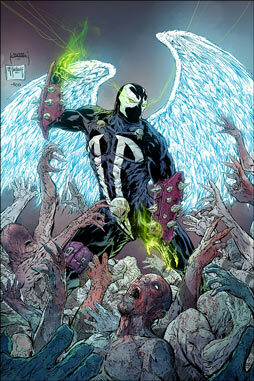 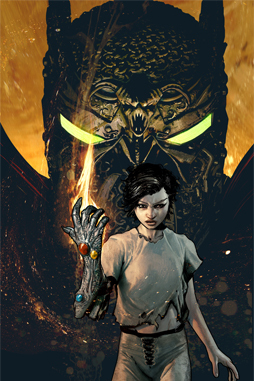 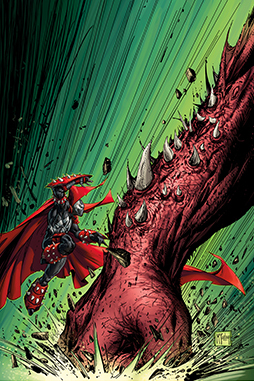 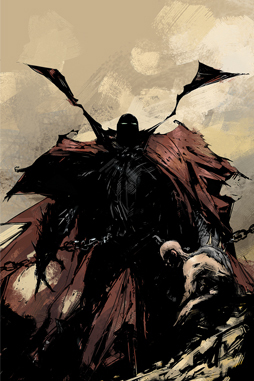 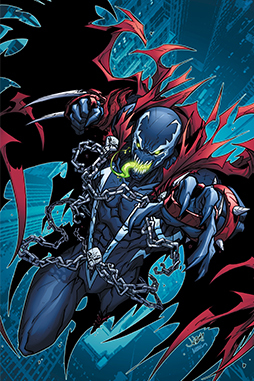 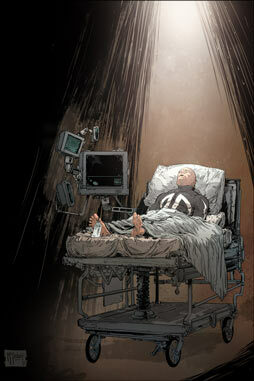 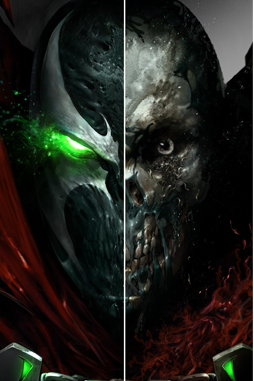 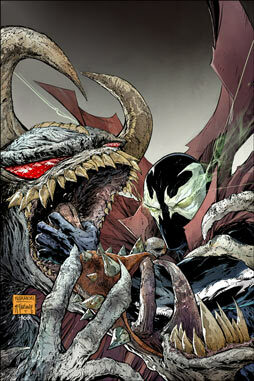 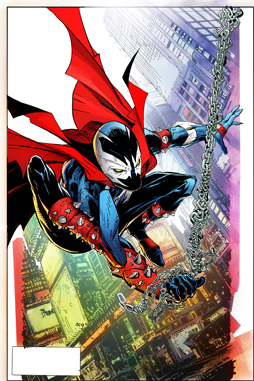 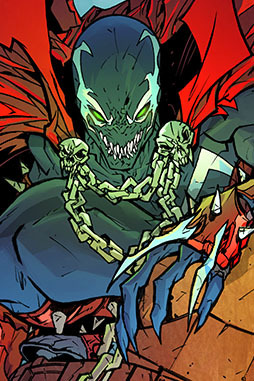 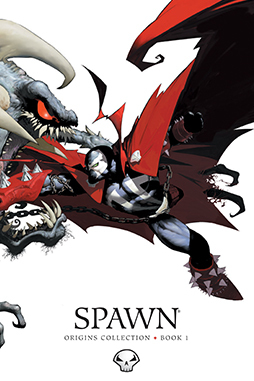 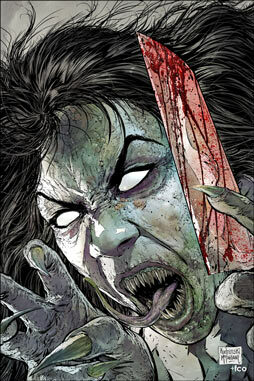 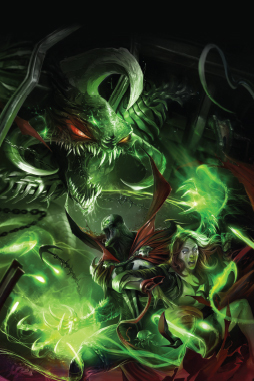 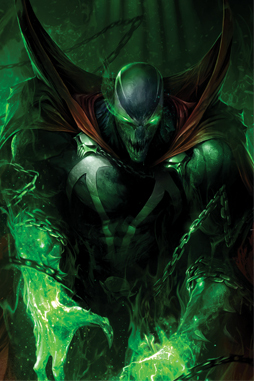 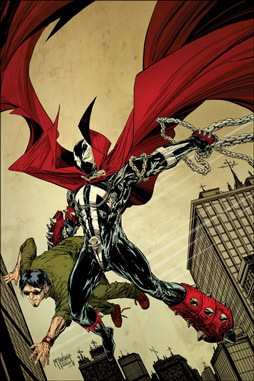 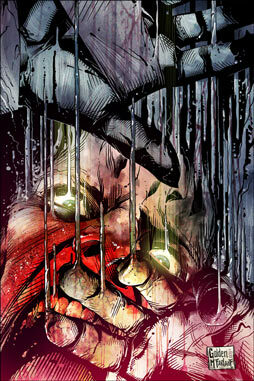 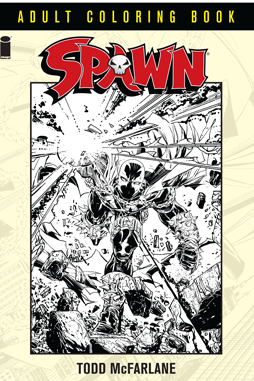 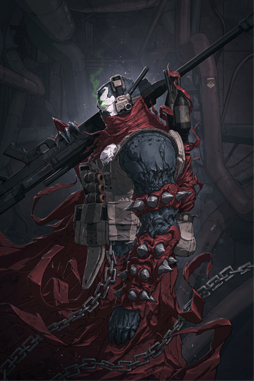 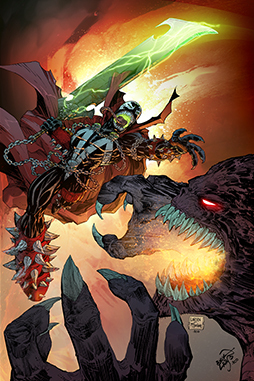 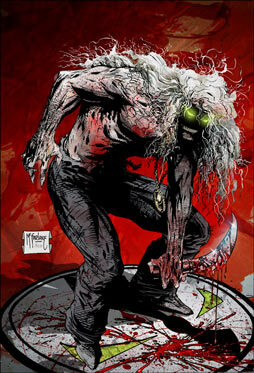 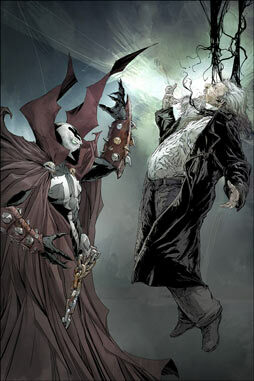 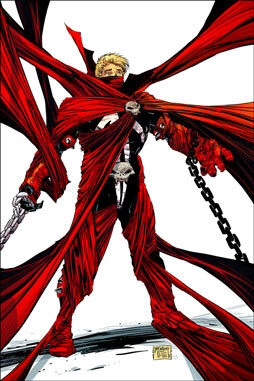 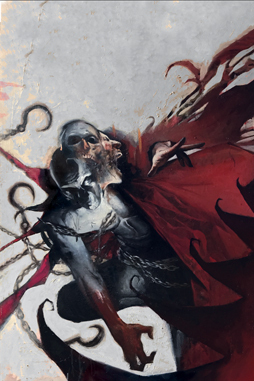 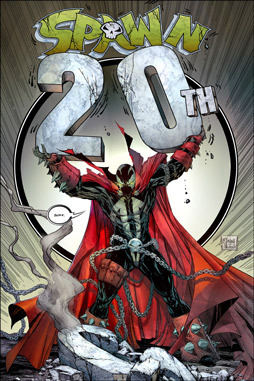 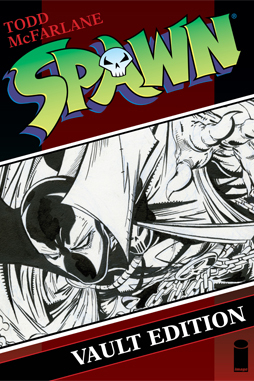 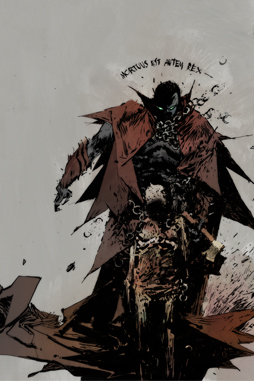 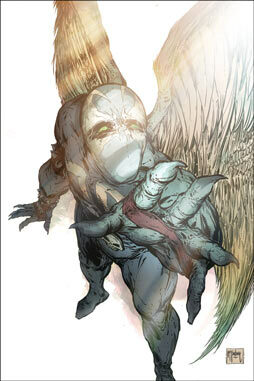 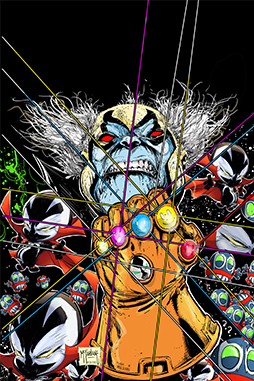 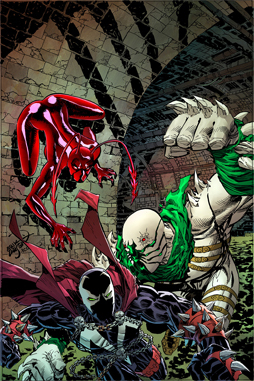 Spawn is able to fight off demons for a short while, allowing him to rescue Wanda and heads towards the portal. 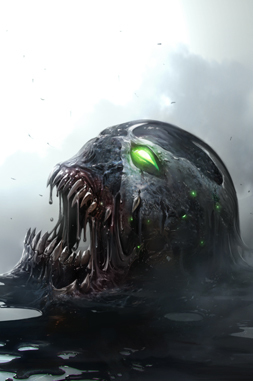 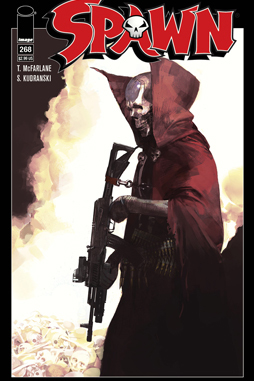 But will they escape with their enemies so close behind? 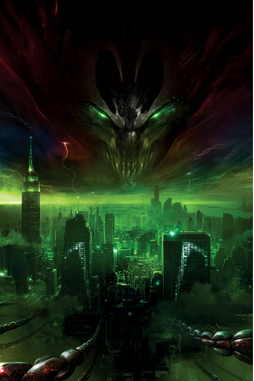 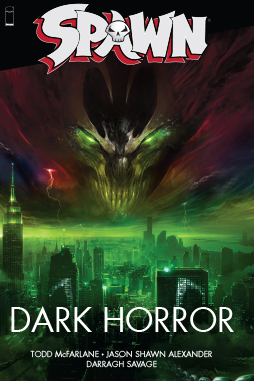 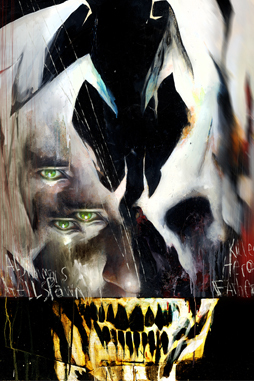 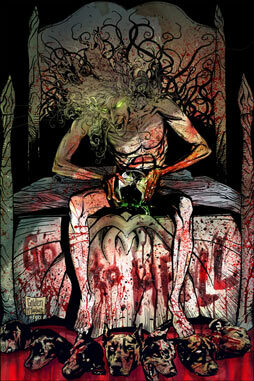 Part TWO in the FOUR part series, Satan Saga Wars.